Targets & Tuners can handle your NFA items as well. Whether it is full auto transfers or suppressor (silencer) transfers and purchases. We can even handle the paperwork for you. 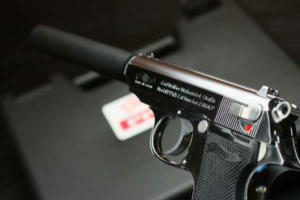 Targets & Tuners is a Preferred Transfer Agent with SilencerShop. Just place your order, buy the ATF tax stamps from SilencerShop and choose Targets & Tuners as your receiving FFL/SOT. Site Designed By VISKA Consulting LLC - Copyright © 2008 - 2019 Targets & Tuners LLC.